It was French Guy's birthday..... Not to give anything away--but it was the one right before the BIG one...so at his request, it was a small celebration. It was also on a Tuesday--non-weekend parties are hard to pull off. So instead there was a special diner-pour-deux and he actually had to wait for cake until yesterday when I finally could make his cake, a day late. Welcome again to my experimental kitchen. I live in France. Have you been to a 'patisserie' in France? 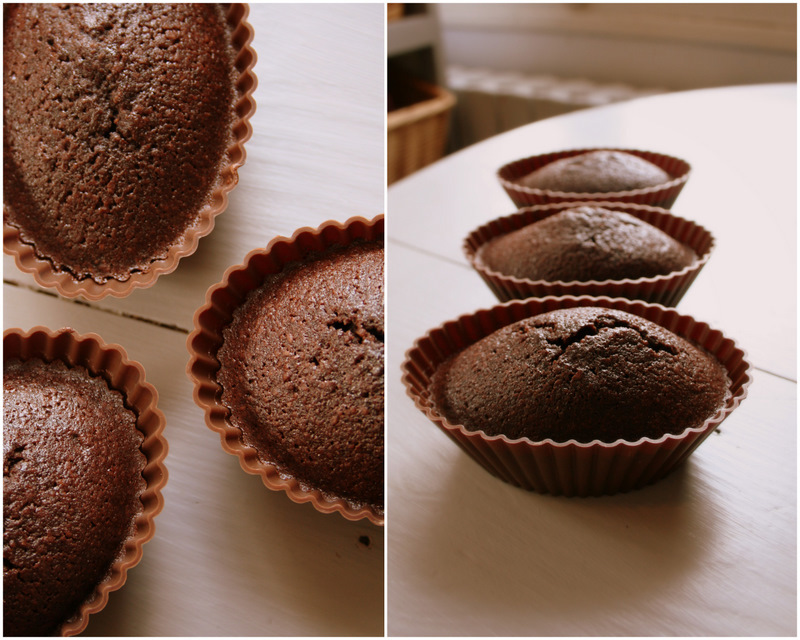 Am I crazy for actually trying to pull-off a cake made from scratch in the land of 'gateau', 'tartes' and 'tortes'? Well....oui. But I needed something that matched up with our family's various preferences, restrictions and desires. My desire? (most important, non?) was C-H-O-C-O-L-A-T! No dairy (milk products) and no gluten (wheat).....The result of the quest? 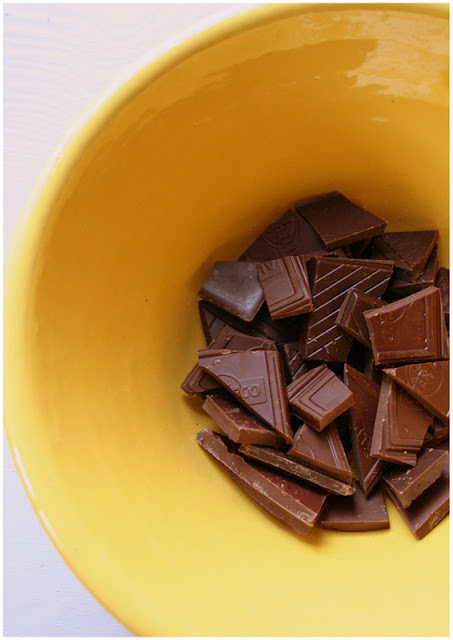 Mix the dry ingredients in a large bowl. In a separate bowl beat eggs and oil. Warm coconut milk and throughly mix coco powder in warm milk before adding to dry ingredients along with the eggs and oil mixture. Pour into forms (J'adore the little silicon ones and I also use a 9" round one that is fabulous.) Bake at 350F for about 20-25 minutes for the small forms or 35 min. for 9" round. 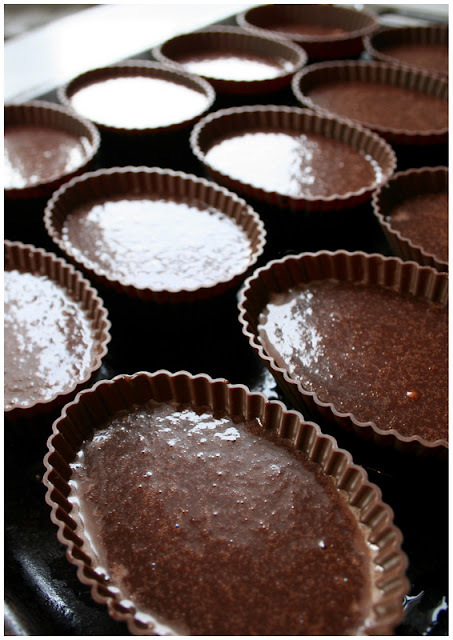 For the ganache; warm the coconut milk in the microwave (not to boiling point, just under). You can add a 'flavor' to the milk--Cointreau, Framboise, vanilla, espresso powder...or just stick with the bittersweet pure chocolate. 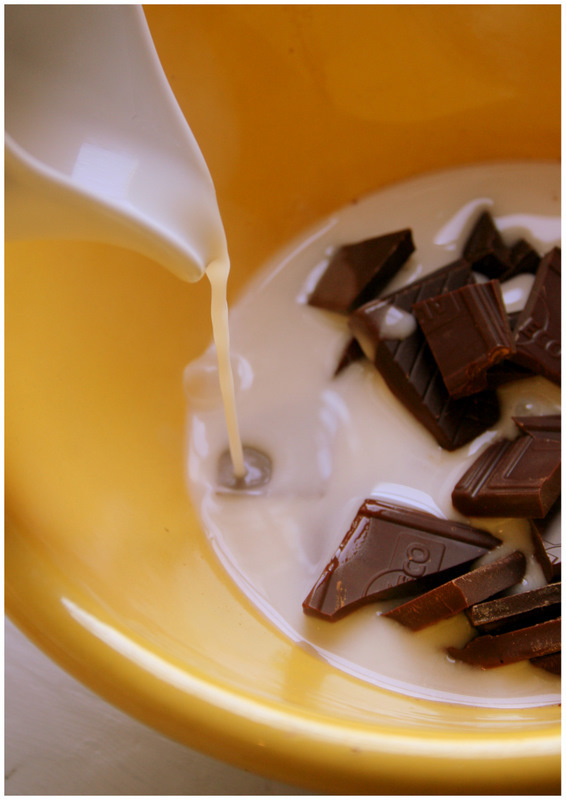 Pour heated milk over chocolate pieces. 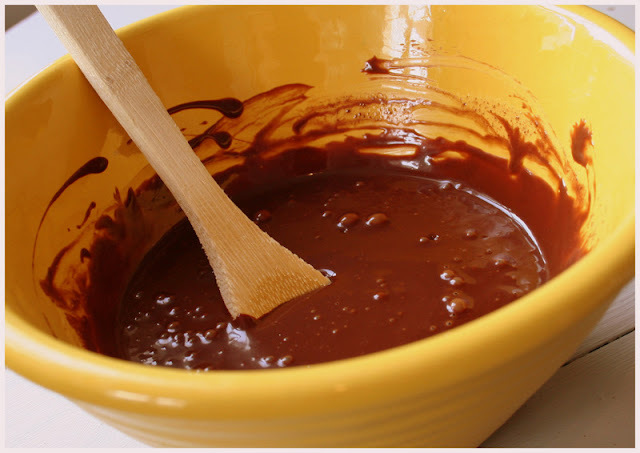 Leave it without stirring for 5 minutes then stir melted chocolate until smooth and shiny. You can let it sit until it is the consistency you like--from very runny to thick enough to spread.... as you like. 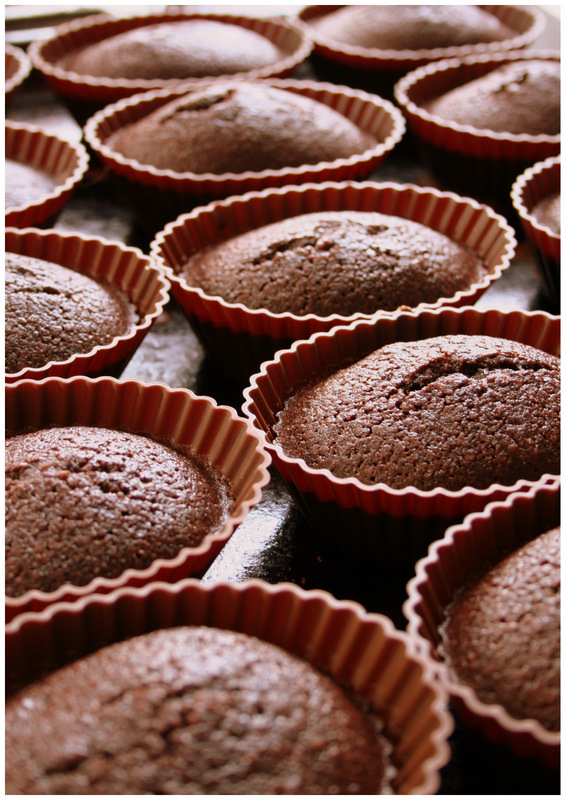 The consistency of the cake is moist and slightly dense--and very rich! 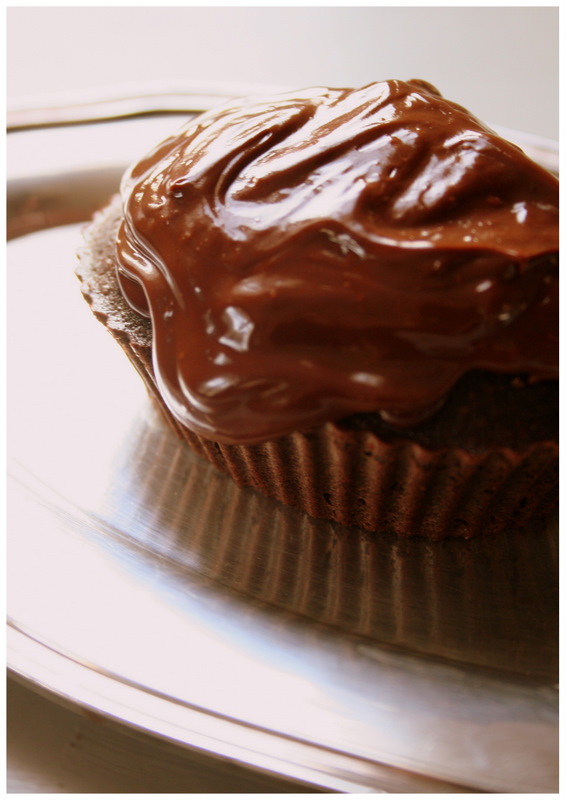 The ganache is creamy and decadent. ....like we really needed one..... a reason to eat cake, that is. Love how small these cakes are! Perfect for a small treat after dinner (all week long). Wow French guy is a very lucky boy. As usual you nailed it on photography as well. PS Can I request some outdoor shots or am I being rude???? You can request anything, Carolyn! But what do you have in mind when you say 'outdoor' shots? It's -8C here today! How are things at you gorgeous beach house?? Fabulous!!! 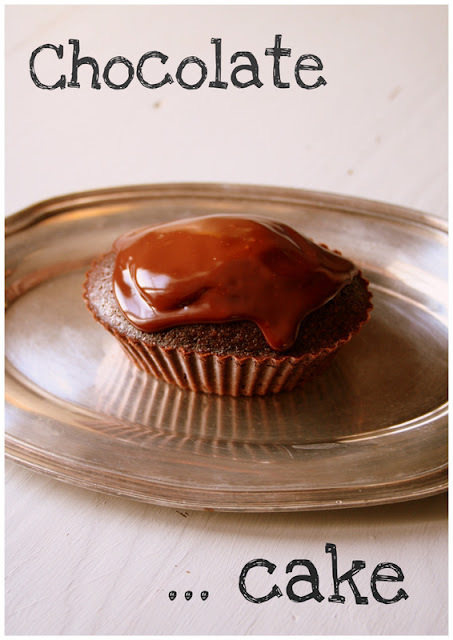 I'm in the mood for chocolat cake; can you provide a link for the oval silicone molds? I'm thoroughly enjoying your pins/blog posts/recipes; thank you so much for sharing Cat!